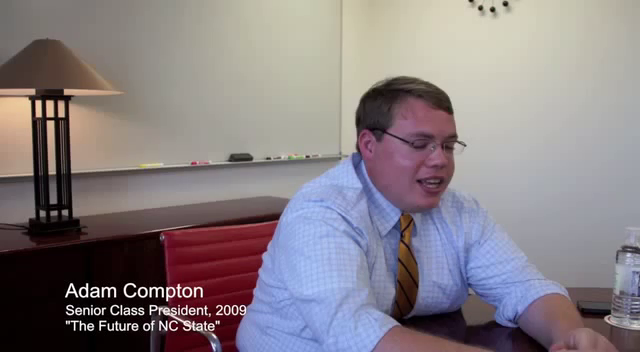 Adam Compton discusses how NC State changed his life and how it inspired him to give back to the community and state. 00:00:00.000 My student experience has really changed my life. 00:00:05.325 My time at NC State has really changed my life. 00:00:08.434 I love this university so much because of all the great things it's given me. 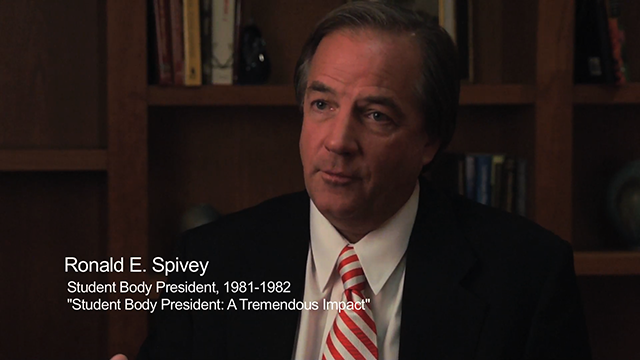 00:00:15.665 It's helped me to grow incredibly as a leader. 00:00:30.363 to focusing on how do I go forward in the future. 00:00:33.783 I want to have an impact on this country and this world. 00:00:53.519 But coming to NC State and seeing-. 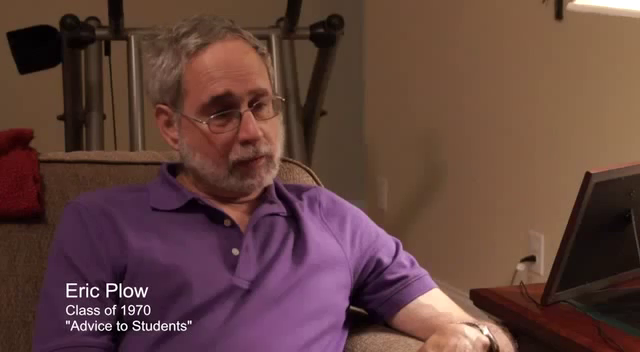 Bill Friday I think said it best. 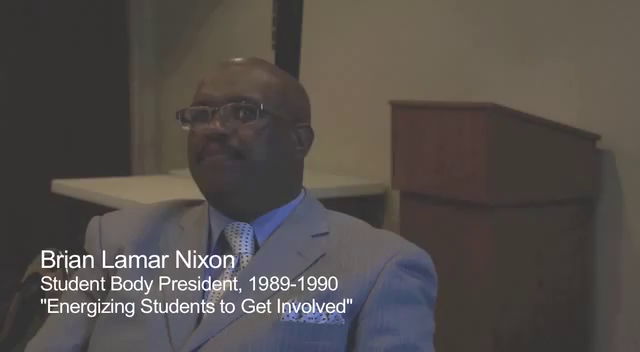 00:01:05.528 paying taxes to support your education. 00:01:22.749 that so much has been given to me, and that's kind of my philosophy of life now, is that I want to help others succeed. 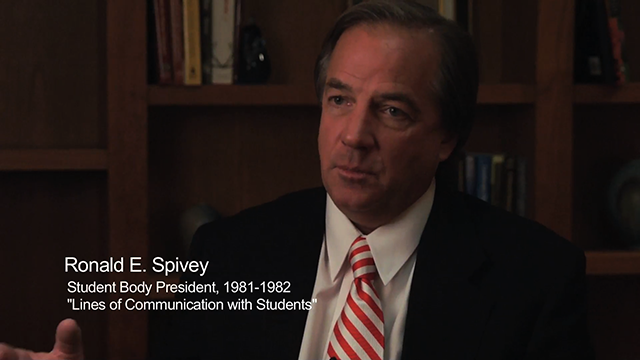 00:01:29.513 I want to see this university continue to grow. 00:01:32.576 I want to continue to give back because so much has been given to me. 00:01:48.589 and just learned so much. It's really made me the person that I am today. 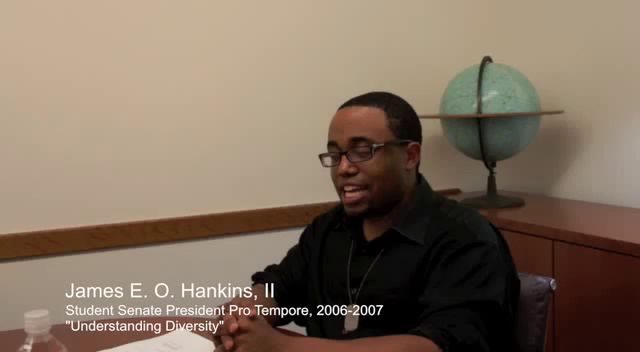 James Hankins reflects on NC State as a diverse institution and explains how his experiences interacting with a variety of people/personalities in college have helped him in his current position as a high school teacher. 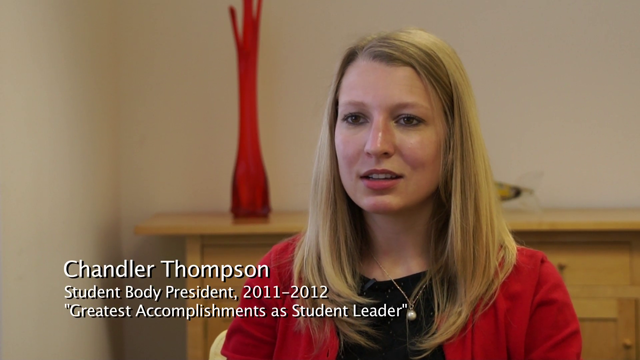 Chandler Thompson discusses her platform for Student Body President and what she accomplished during her term in 2011-2012. Thomas Stafford, vice chancellor for Student Affairs, describes how he encouraged administrators to ensure they always put students first when implementing policies and programs. 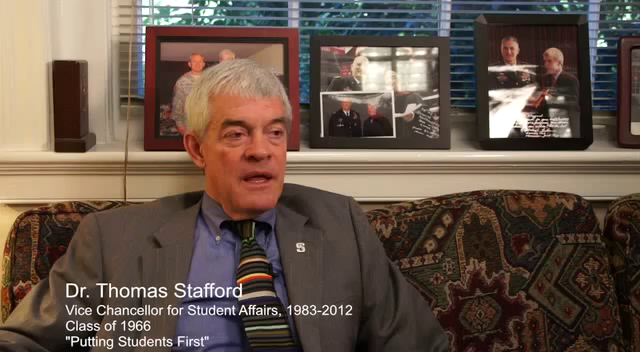 Dr. Stafford also describes his responsibilities as vice chancellor. 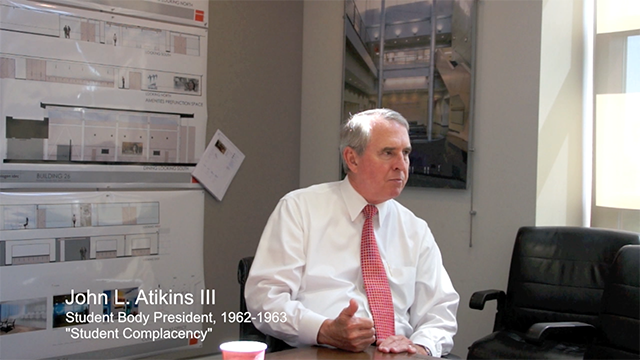 John Atkins recalls how his various experiences at NC State, both in the classroom and in extracurricular activities, contributed to his overall education. 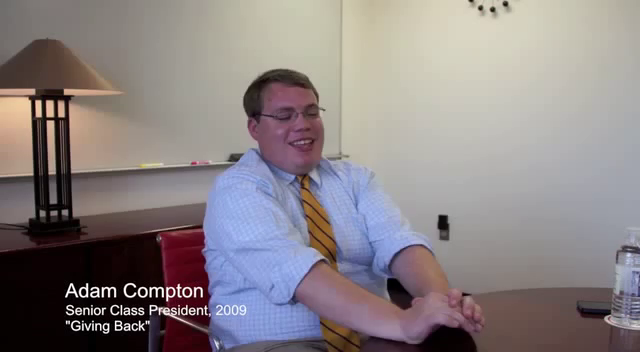 Adam Compton talks about how the university is growing, and what the future holds in store for NC State. 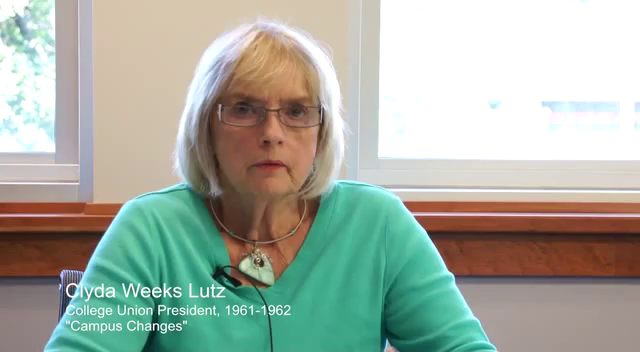 Clyda Weeks Lutz talks about the many changes in education and to the NC State campus since she was student in the early 1960s. 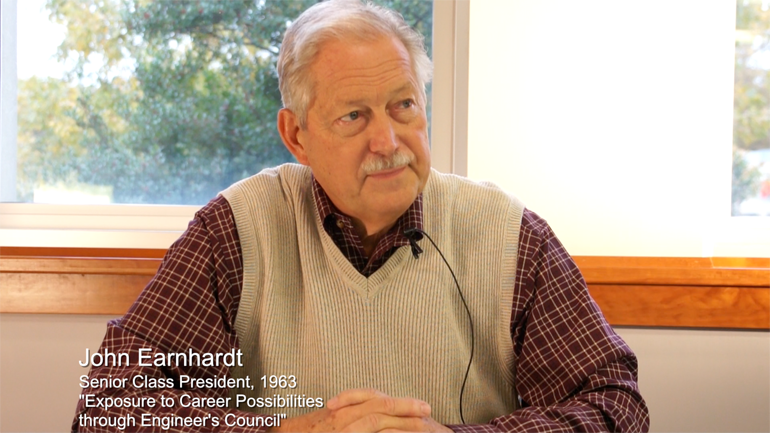 Eric Plow advises current NC State students to concentrate on earning good grades, which he believes will assist them in securing their first job. 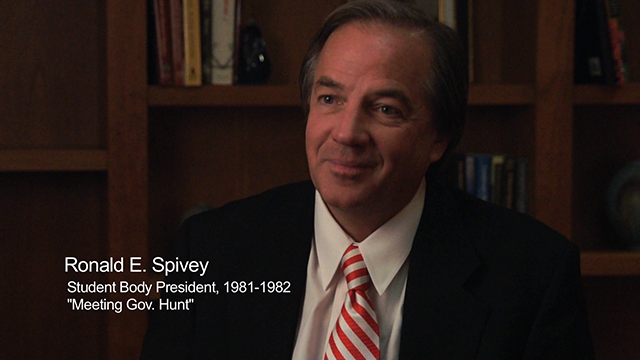 Judge Ronald E. Spivey recalls going to an election night watch near campus in 1978 and meeting Governor James. 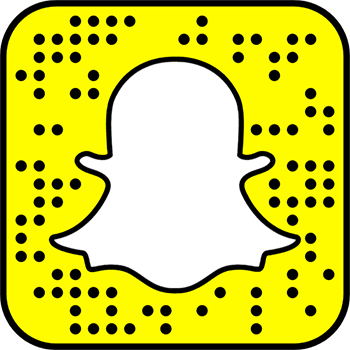 B. Hunt, Jr., for the first time. 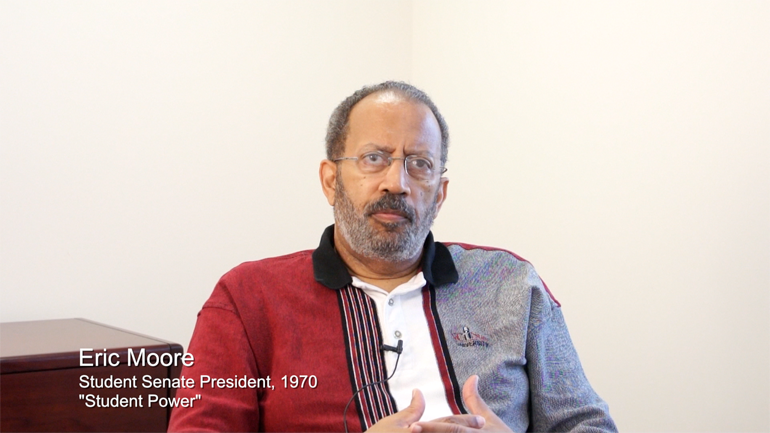 Harold Pettigrew discusses not winning re-election as Student Body President at NC State University and how he learned from that experience. 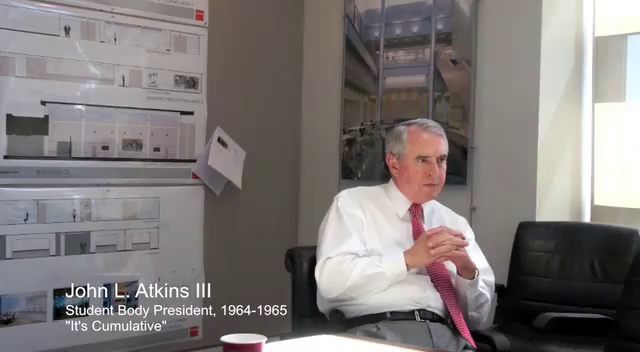 "In my case it's NC State"
John Atkins reflects on how NC State's College of Design helps foster creativity and critical thinking skills in its students, including himself. 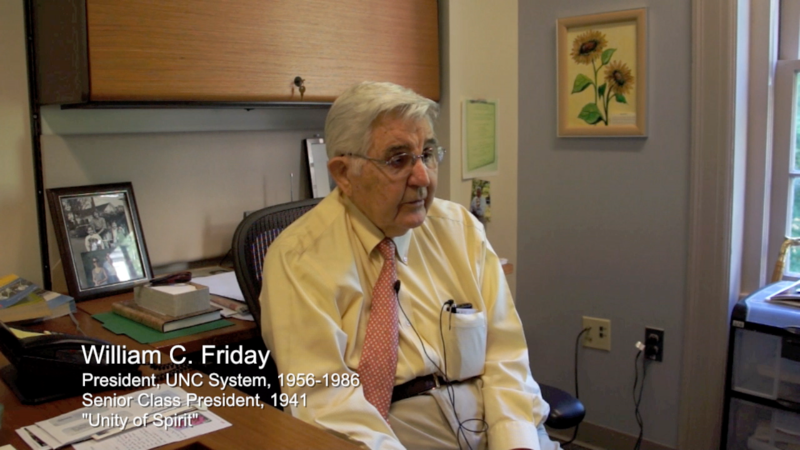 Terry Carroll describes how his experiences in large classes at NC State taught him how to learn. 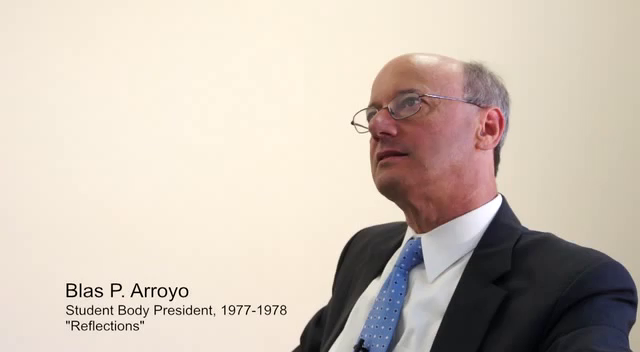 Blas P. Arroyo reflects on his experiences as a student at NC State and how his education and family have influenced his life. 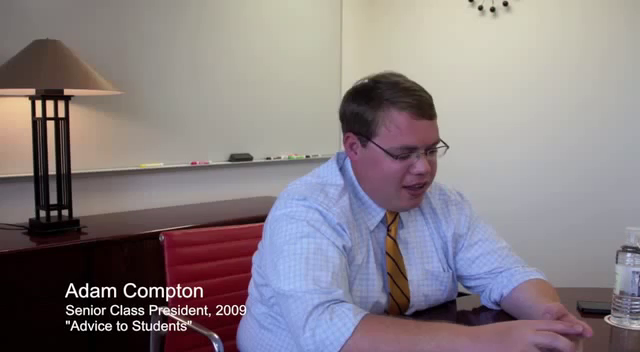 Adam Compton imparts advice to current students about getting involved and how leadership roles changed his life. 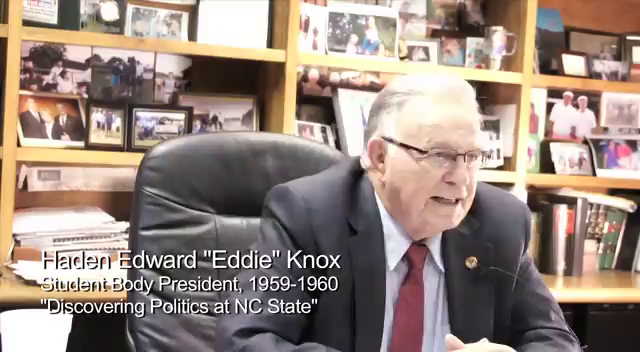 Haden Edward "Eddie" Knox discusses the various positions to which he was elected as a student at NC State: freshman class vice president, sophomore class president, student body vice president, and finally student body president. 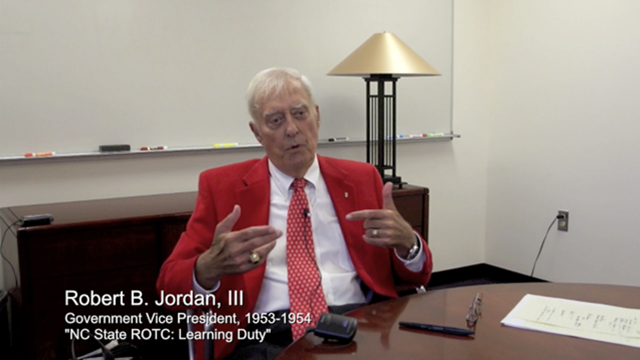 Bob Jordan recalls the important influence that military service had on his life. 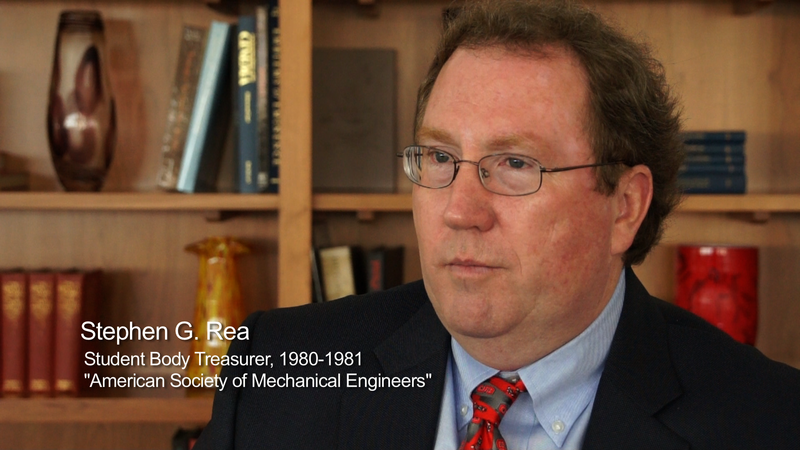 Smedes York talks about NC State being at the forefront of knowledge building for world problem solving. 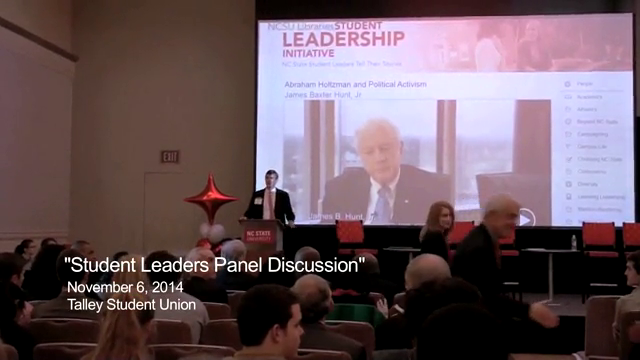 The Student Leader Panel Discussion was sponsored by the NCSU Libraries and held in the Talley Student Union on the NC State University Campus. 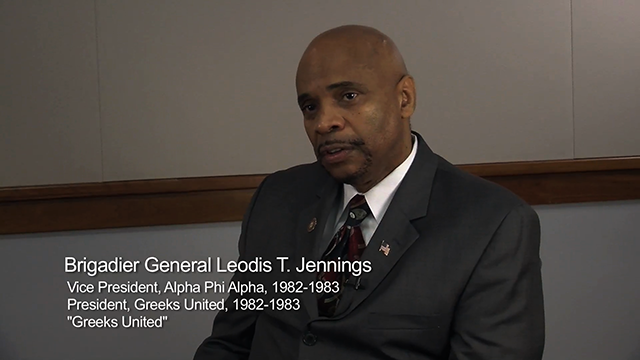 In the discussion panelists talked about about their leadership roles at NC State and the impact those roles have had on their lives and careers. 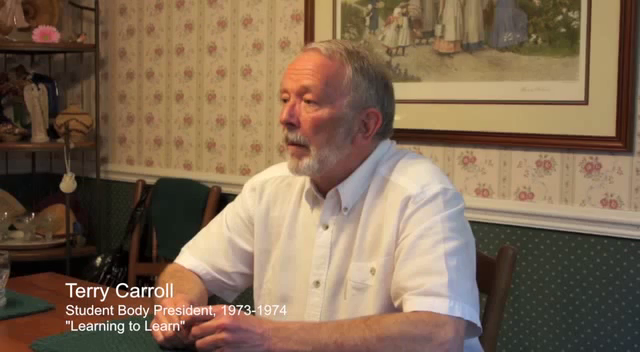 The panelists were Ron Spivey, Kate (Cathy) Sterling, Smedes York, Kelly Hook, Harold Pettigrew, and Molly Basdeo. Tony Caravano was moderator, and Will Quick introduced the event. 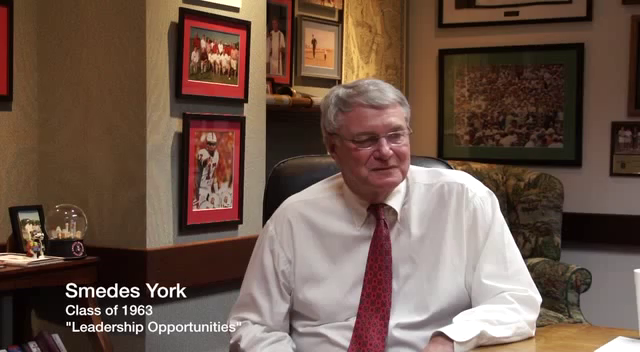 Smedes York remembers military service at NC State and reflects on the availability of leadership opportunities during his time at NC State. 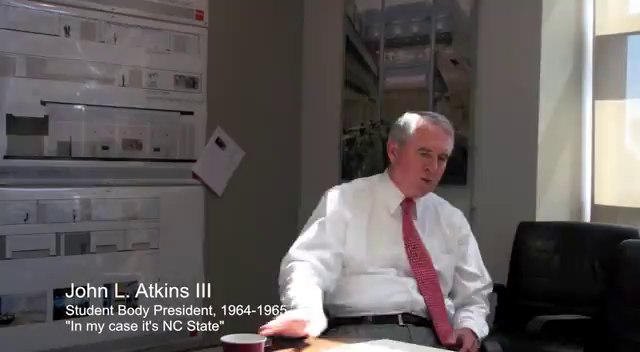 James Hankins discusses how much he enjoyed his experiences as an NC State student and a leader in Student Government. 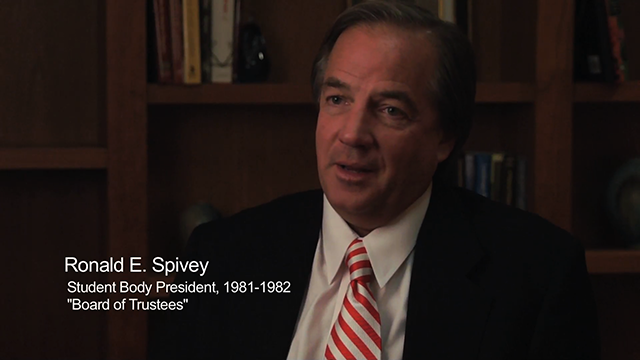 Judge Ronald E. Spivey recalls the influences that shaped his role in Student Government and the tremendous impact his time at NC State had on his judicial career. 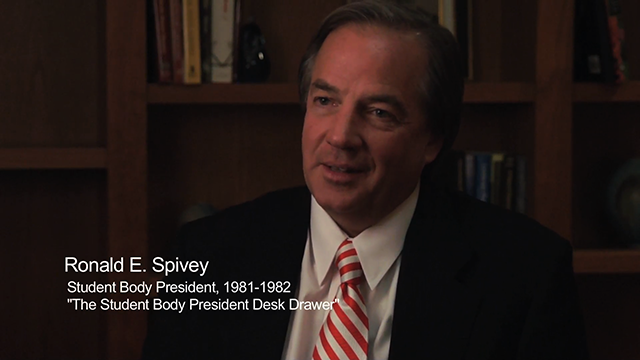 Judge Ronald E. Spivey recalls starting the tradition of Student Body Presidents signing the inside of the their desk drawer in the Student Government office. 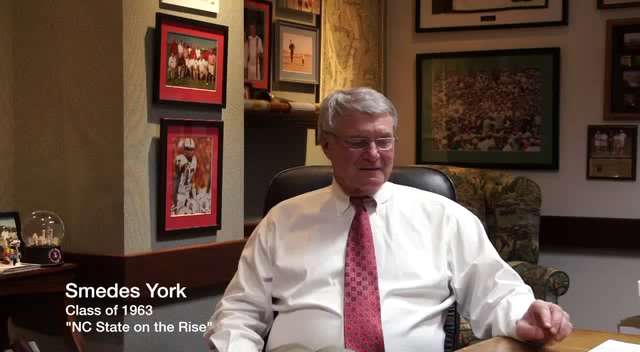 Tony Caravano and Will Quick discuss how NC State has become better at telling its own story and promoting itself as a special and unique institution. 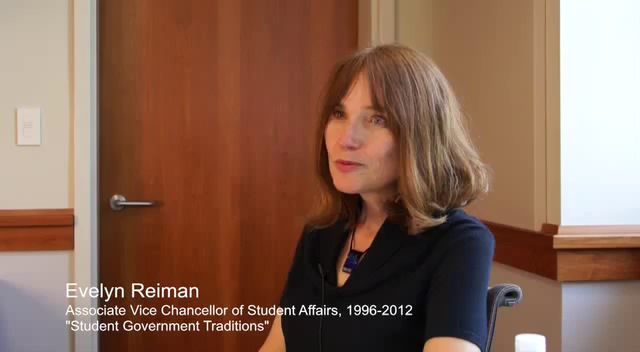 Evelyn Reiman recalls two Student Government traditions: Governor Jim Hunt's annual call to the new student body president and the annual signing of the student body president's desk. 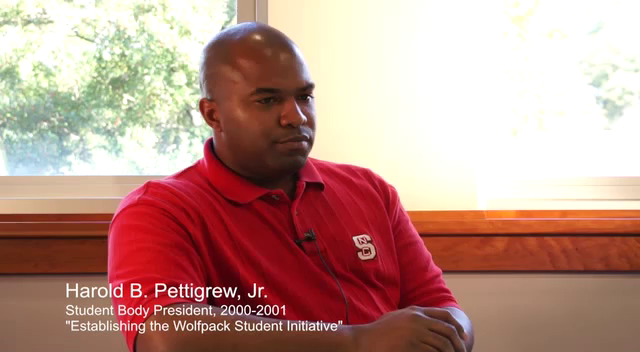 Harold Pettigrew talks about creating the Wolfpack Student Initiative (later retitled Stafford Student Leadership Endowment) to honor NC State students with an annual scholarship based on demonstrated financial need and leadership in student organizations. 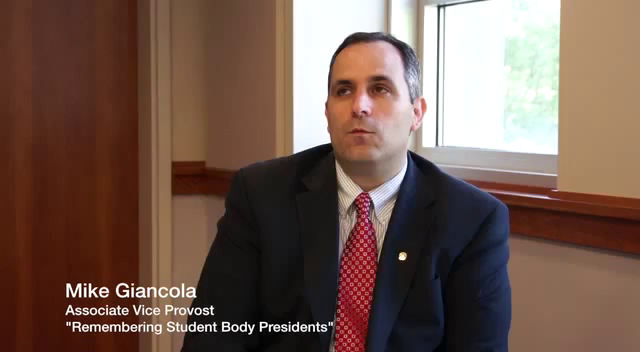 Mike Giancola reflects on past Student Body Presidents. Brian Lamar Nixon discusses that he was most proud of energizing students to get involved with student government when he was NC State student body president. Vice Chancellor for Student Affairs Dr. Thomas Stafford reflects on how he adjusted to new leadership and what it was like for the university to transition to new chancellors. 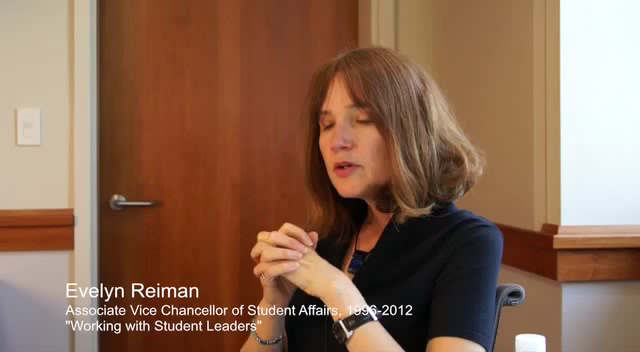 Evelyn Reiman recalls what it was like to observe multiple student leaders grow and develop their leadership styles since she began serving as a Student Government adviser. Kelly Hook describes an NC State fundraising campaign called Howl For Haiti, which collected donations for the victims of the 2010 Haitian earthquake, and her role in the organizing the program. 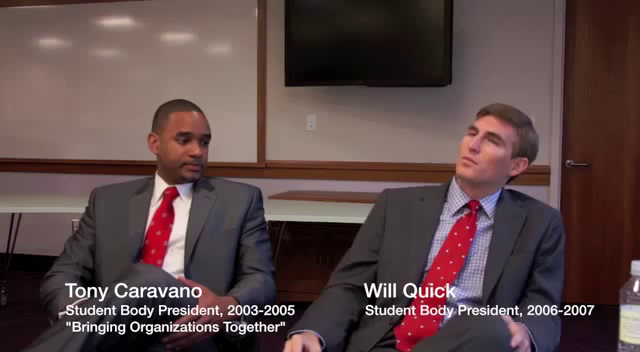 Will Quick remembers helping unite the NC State campus behind the common cause of contributing to Hurricane Katrina relief efforts. 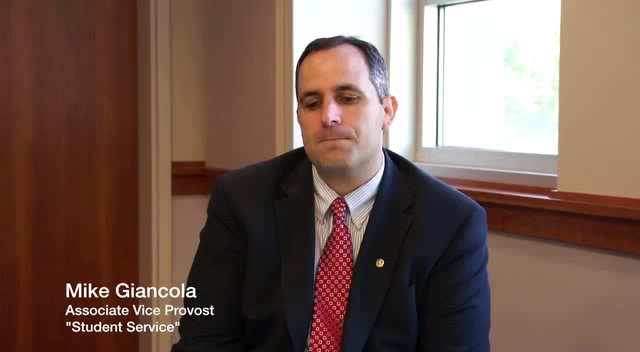 Mike Giancola talks about the legacy of student service and leadership at NC State, and how the university has been recognized for it. 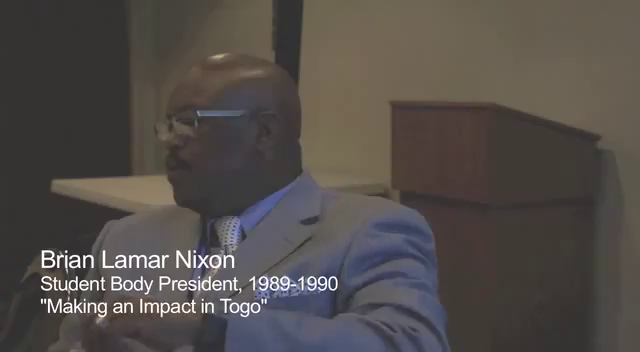 Brian Lamar Nixon discusses that as NC State student body president he developed a project to send school supplies to a university in the country of Togo. 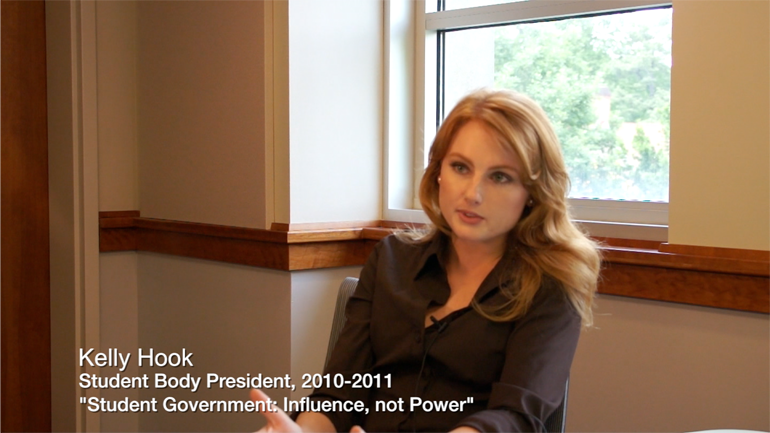 Kelly Hook elaborates on the influence of student government and why it is important for students to be engaged in order for student government to be effective. 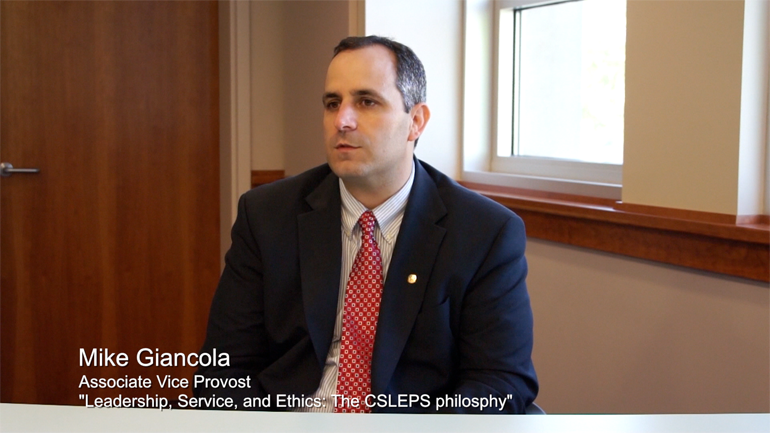 Mike Giancola discusses the importance of leadership and integrity in NC State students. 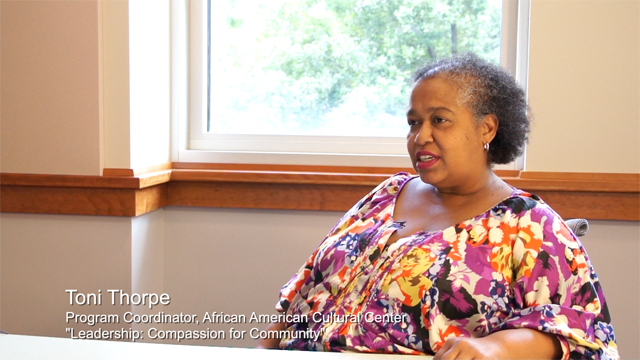 Toni Thorpe reflects on the compassion of NC State Students and why they consistently make good leaders. 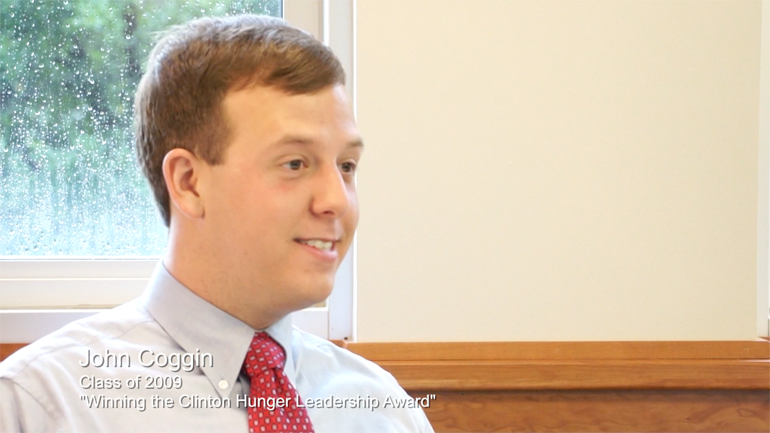 John Coggin recalls his winning the Clinton Hunger Leadership Award and his opportunity to attend the Clinton Global Initiative University. 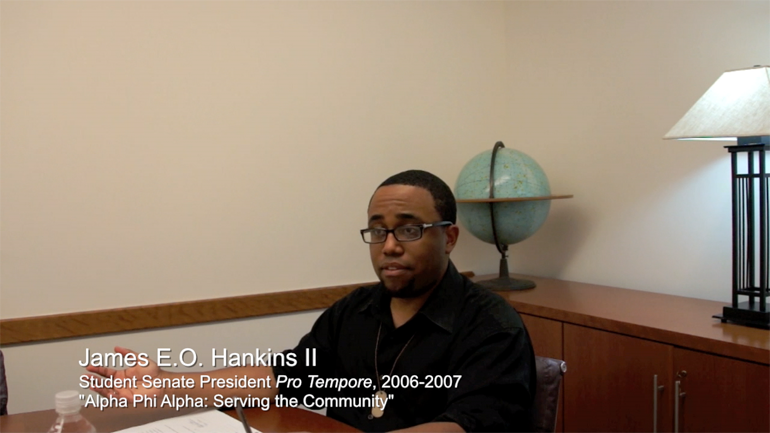 James Hankins recalls the community service and mentoring opportunities he had as a brother in the Eta Omicron chapter of Alpha Phi Alpha fraternity during the early 2000s..